WASHINGTON – A month before Election Day, President Barack Obama‘s campaign and the Democratic National Committee reported raising a combined take of $181 million in a fund raising haul to support President Obama’s re-election campaign. The $181 million in fund raising was slightly less than Obama’s record of about $190 million in the September 2008 campaign cycle. It is more money than any presidential campaign has raised in a single month in 2012, setting a new record for this year . Republican presidential nominee challenger Mitt Romney, said Saturday that it was on the cusp of raising $1 billion for the 2012 election after posting its strongest fundraising month of the year. The Wall Street Journal has reported that, Mitt Romney’s strong debate performance on Wednesday led to around $12 million in online donations, as well as a boost in volunteers and crowds. However, Mitt Romney’s campaign and Republicans have not yet reported September fundraising totals. President Barack Obama’s campaign said 1.8 million people donated, and reported that ninety-eight percent of all donations in the month of September were $250 or less with an average contribution of $53. 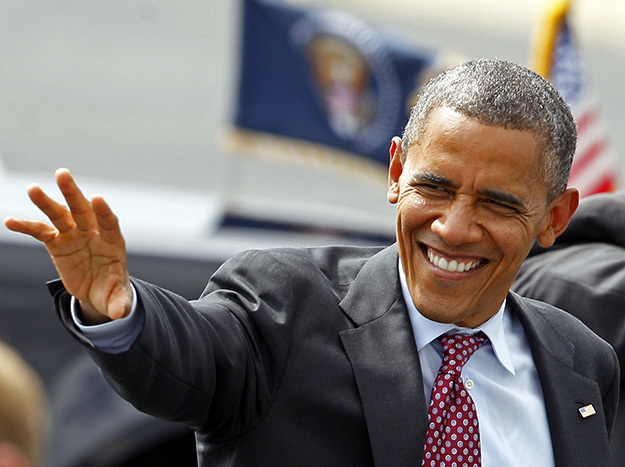 The Obama campaign is close to raising a near-record $1 Billion in fund raising. President Obama’s campaign manager Jim Messina called the numbers “big, big news,” giving credit in the influx of cash with launch of their ground game in key states as the November 6 election draws near. “Day in and day out, what gives the President confidence and inspiration is knowing that you have his back – that matters,” said Messina. Messina emphasized that the campaign and DNC had pulled in more than 10 million donations in 2012, a record. Sunday, President Obama will be in California for a fundraising event in a effort to make October as strong as September. The event will hold the audience of 6,000 people, and feature music from singers Jon Bon Jovi and Jennifer Hudson as well as remarks from actor George Clooney. The president will then head to a fundraising dinner with approximately 150 people with each paying $25,000 to attend the dinner. Meanwhile, Mitt Romney’s campaign intends to run a new television ad claiming that president Obama is not telling the truth when he says Romney wants to cut $5 trillion in taxes. President Obama campaign will also run a new TV ad called “Dishonest”, that will carry on the first debate theme that Romney misrepresented his own positions, and President Obama on taxes. Online videos were posted by the campaign with the mantra, “Romney won’t tell the truth,” about Medicare, energy, taxes and more. Voter Registration Deadline is Tuesday, October 9th 2012. Have you registered to vote yet?